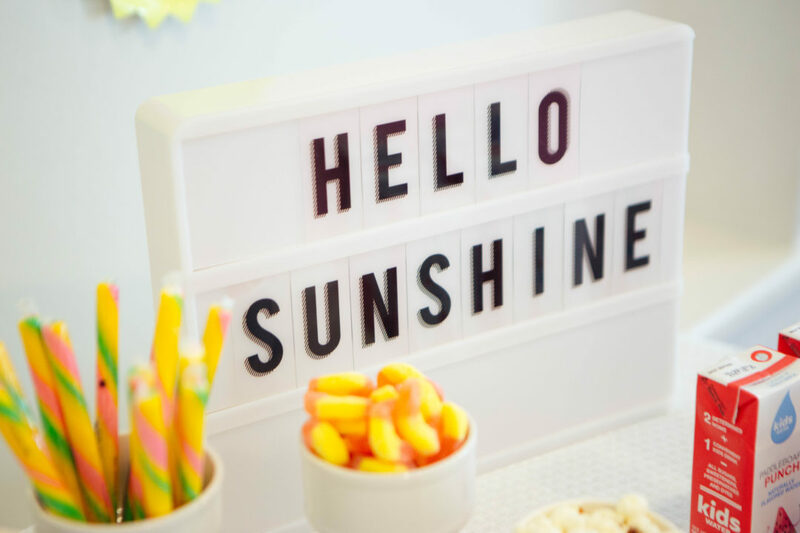 The heat index is rising here on the Westcoast and what a better time to share a fun little party I threw earlier this month to welcome the official start of Summer. The kids were finally off of school and it was time to celebrate the season of fun with a little get together with friends. With help from some fellow moms and party lovers, Hello Hoopla and Teeny Wish, the gathering was actually pretty easy to pull off (which was especially important, as I too, was coming off a hectic last month at school). 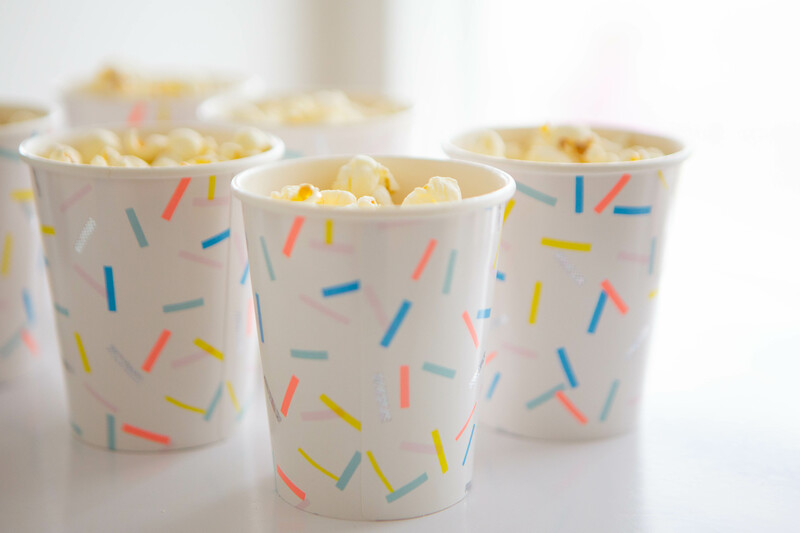 I was lucky to recently come across a party company that happens to be local and have the cutest party supplies. You know I just can’t get enough of good themed party goods. What I absolutely love about Teeny Wish is that for a set price, you receive an entire box full of hand selected party wares, from favors and bags to plates and napkins to balloon garland and confetti. Talk about saving money and time trying to pull a theme together! 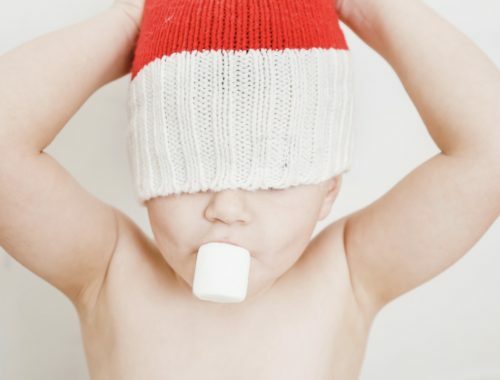 Choose from a large list of themes (think unicorns, pirates, cacti, etc) with party items that fellow momprenuer Clara has curated and puts together for you. Order a party box in the selected theme and once it arrives you are set to put on a fabulous looking soiree without all the extra work. In my case, I just had to add the treats! 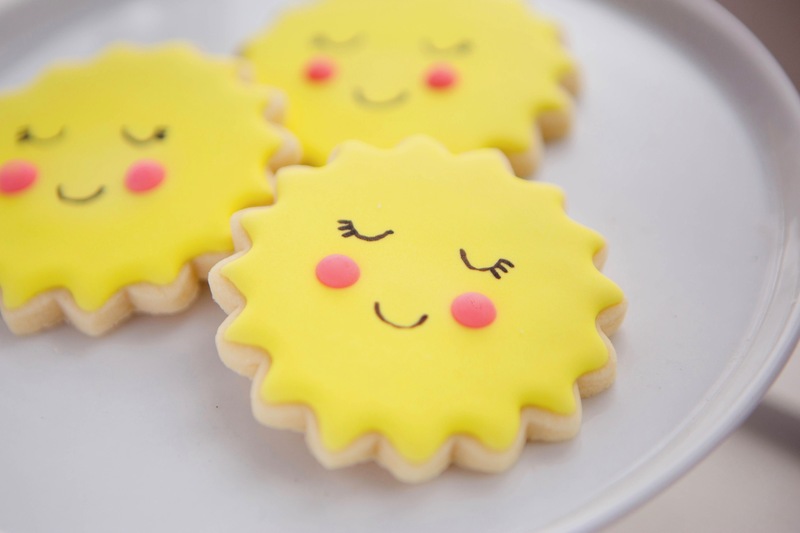 Speaking of treats, I contacted my very talented baker friend Jenny at Hello Hoopla, to help add both color and flare to my “summery” vision so to speak. 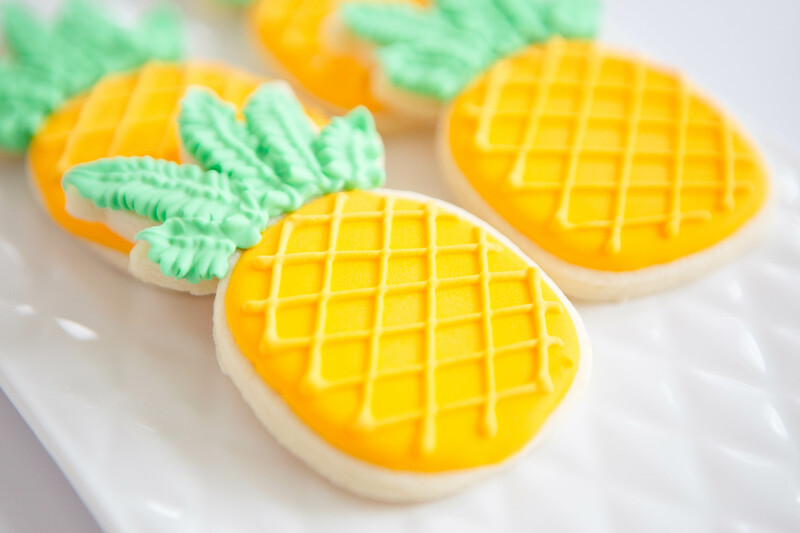 As she does, she nailed it with her pool floatie and pineapple sugar cookies. 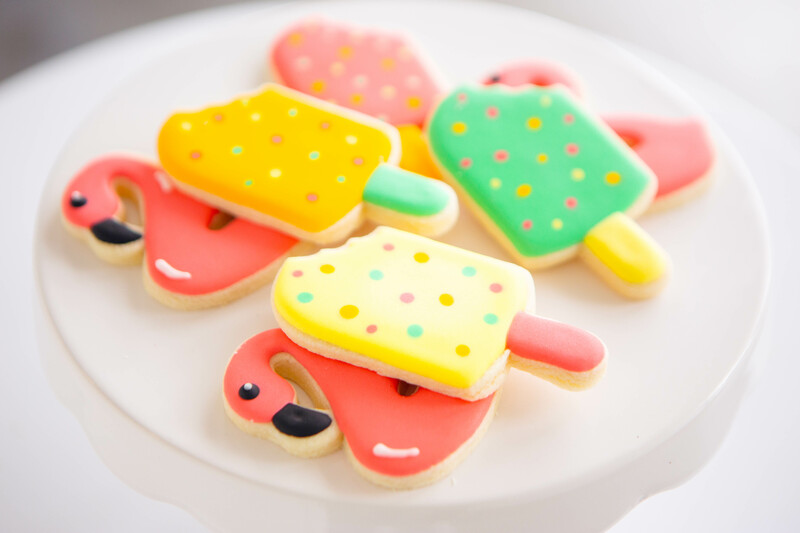 While it would have been cool to have actual popsicles considering the theme, I avoided the mess with popsicle shaped cookies instead and not surprisingly, they were favored by the kids. 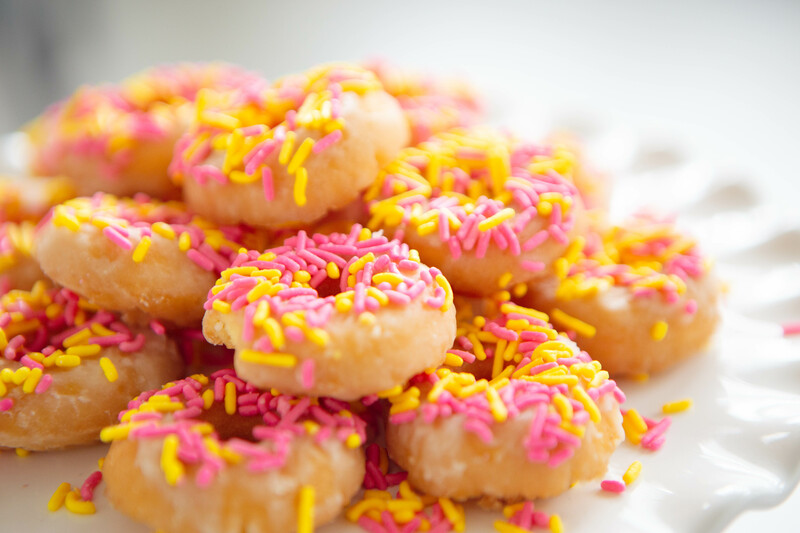 I also added store bought plain doughnuts that I sprinkled (one of my favorite parent party hacks), popcorn served up in decorative party cups and fresh watermelon. 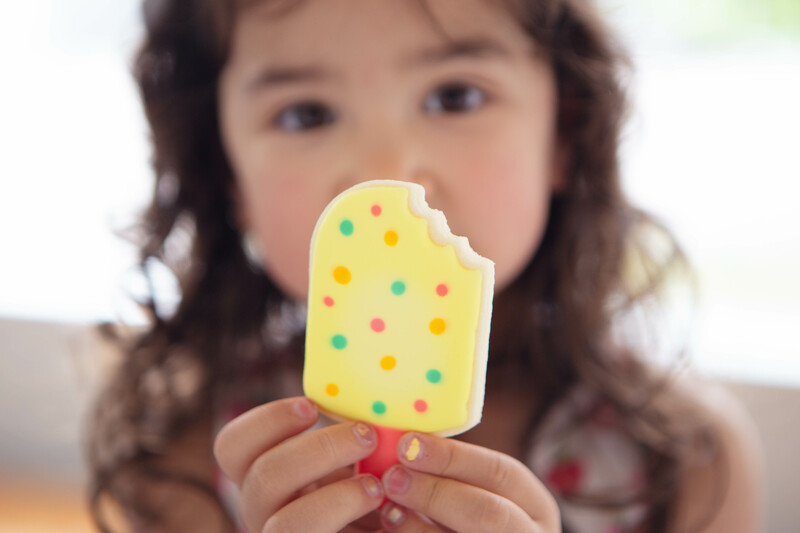 To drink, I offered mini party goers the perfect summer beverage from Kidswater. Just as it sounds, this fruit juice alternative has no sugar, no preservatives and no sweeteners. 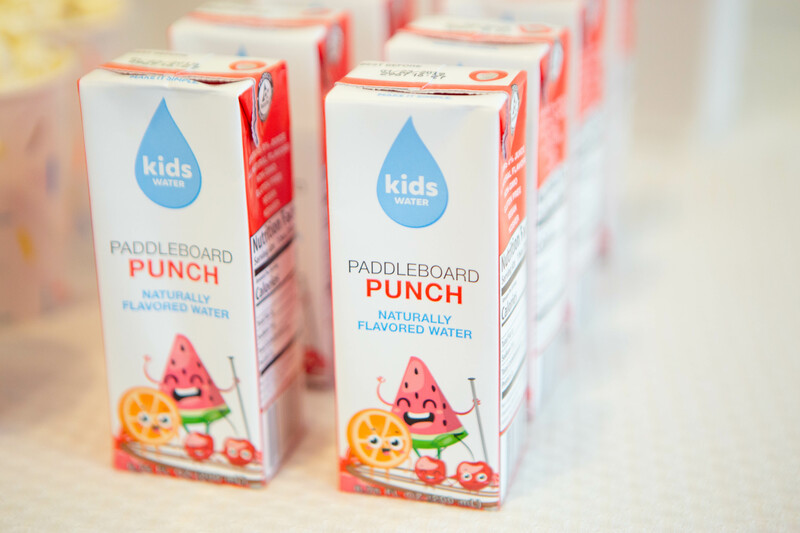 It is simply naturally flavored fruit infused water that happens to come in the most adorable and kid friendly packaging. Choose from three fun flavors including “Leaping Lemonade”, “Biking Berries” and “Paddleboard Punch”, which seemed fitting for the sunny theme to balance out the other sugary options I was serving up. 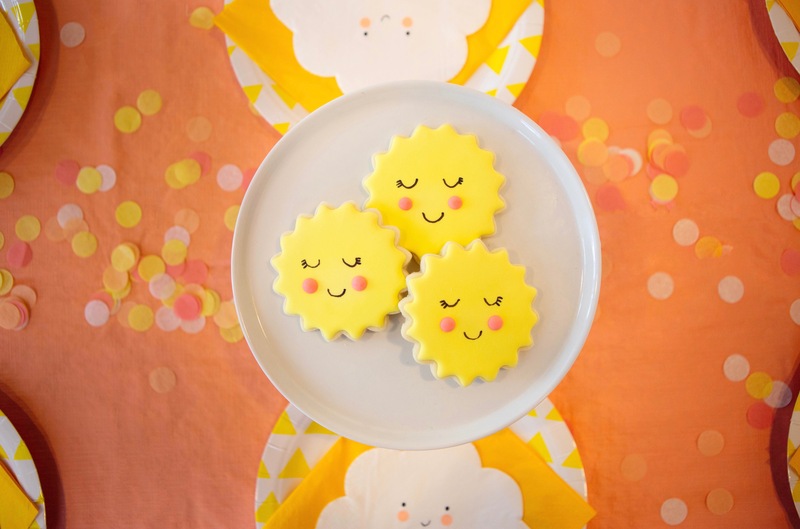 In my Teeny Wish party box, I received the sweetest sunshine plates. While I knew guests would love using them for their food, I thought it would be even better to use them as a backdrop. I simply used painters tape to adhere them to the wall temporarily in three rows. 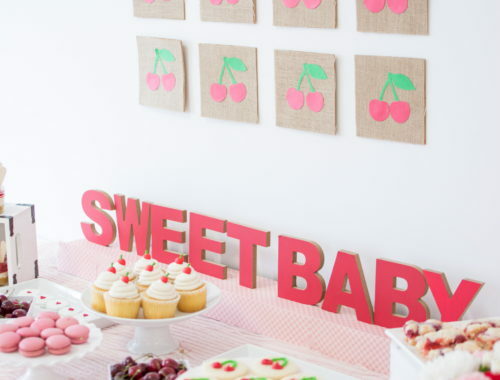 I finished off the look with brightly colored tissue garland on the front of the table and a letter board placed alongside some candy sticks and rings in ice cream shaped dishes. 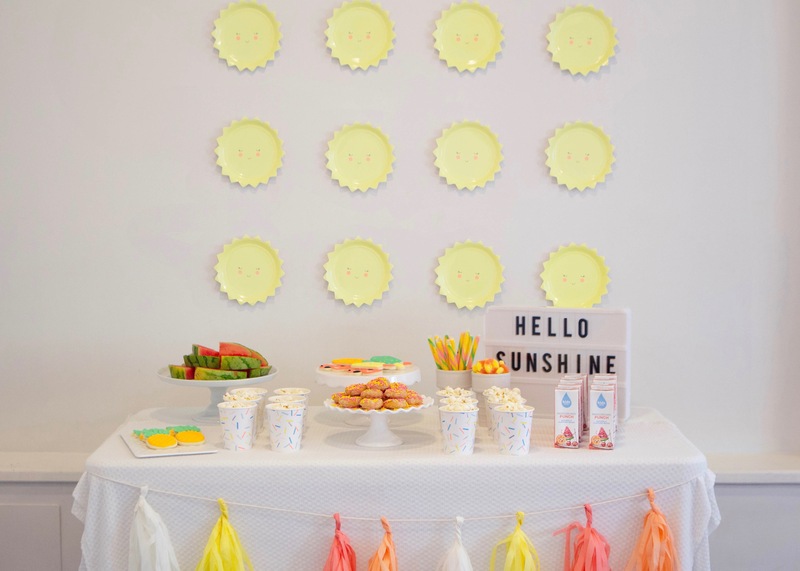 The kids table was also setup to include matching cloud napkins, pastel confetti and kawaii inspired sunshine cookies that matched the plates on the wall. 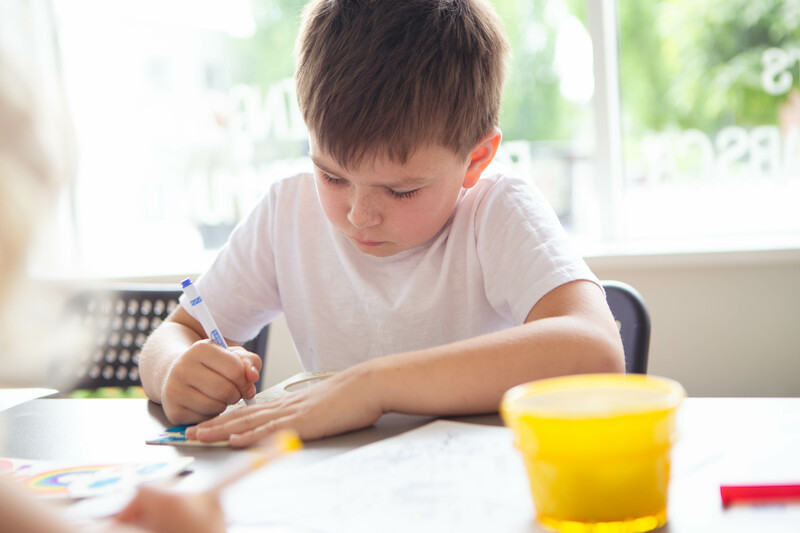 Other than eating all the treats and spending time together, kid attendees got to run around the studio where the party was held and color wooden kawaii illustrated door hangers. 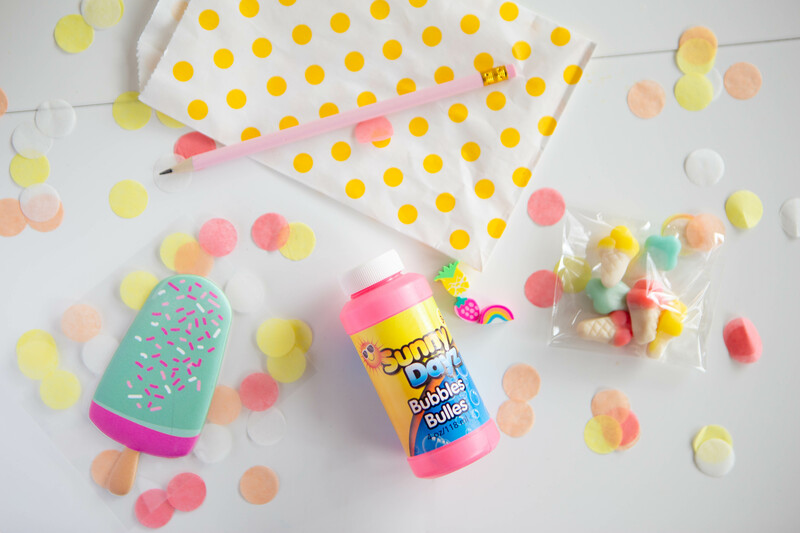 After all the fun, children went home with goody bags, also provided by Teeny Wish, that had popsicle stickers, ice cream gummies, fruit shaped erasers and bubbles I picked up from the local dollar store. It sure was a great afternoon, kicking off the season that we all live for!